More than $41 trillion are expected to be invested in Internet of Things tools and platforms to modernize Cities around the world. Which criteria should be considered when designing a Smart City? Forbes.com provides an interesting and meaningful list of Dos and Don’ts to get the greatest return on planned smart investments. Leveraging available data to improve urban services is among the recommandations, and this is not surprising to us. 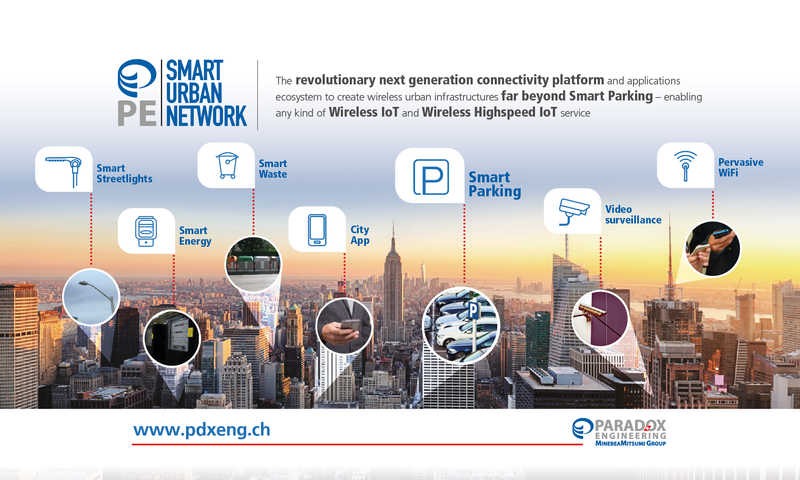 At Paradox Engineering, we picture Cities as distributed communication systems connecting people and businesses, and enabling any kind of private or public activity through a number of services such as energy distribution, transportation, street lighting, waste management, and many more. A Smart City is a dynamic, sentient infrastructure – it all starts from data, a key resource to deliver any kind of service. Collecting, storing and processing data generated by urban objects – streetlights, meters, parking lots, waste bins, WiFi hotspots, video surveillance cameras, etc. – is the first step to take evidence-based decisions and make Cities more livable, sustainable, and attractive.